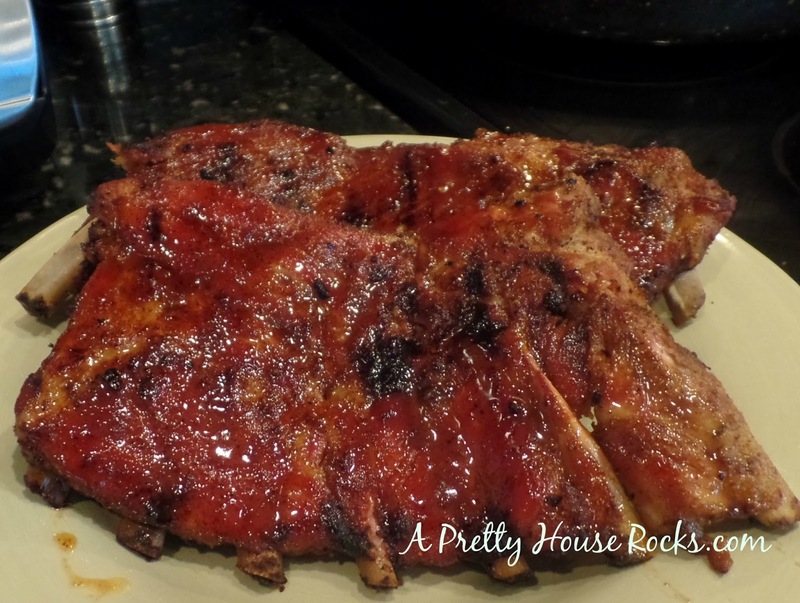 BBQ Rib Rub Recipe-Bake then finish on Grill this Labor Day! Okay so were nearing the end of the summer... some kids are back to school, vacations are ending...but don't look so sad because we still have that one last holiday weekend! Time to end the summer vacation with a bang, a Corona and a rib! I wanted to share one of my favorite BBQ rib rubs. Save space on your grill by baking these babies in the oven and then finish them on the grill. You still can achieve that grill taste with all that crispy smokey sweet goodness! 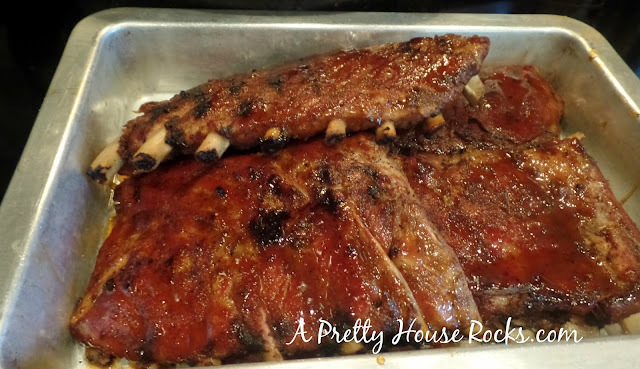 These ribs are a great way to impress your guests this holiday...just make enough because trust me, they will be gone! Entire recipe below. Mix together brown sugar, chili powder, paprika, salt, garlic powder, onion powder, pepper and cinnamon. Generously apply rib rub over the ribs. Wrap each slab of ribs (bony side up, meat side down) in a large piece of foil. Fold foil so that ribs are enveloped inside foil. 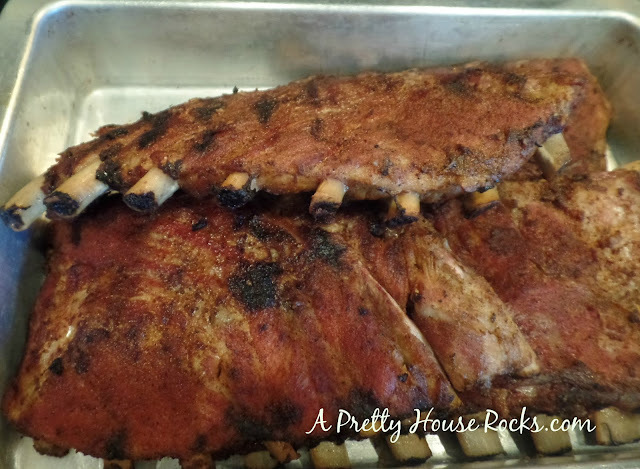 Place ribs on baking or cooling rack on a baking sheet, then put them in the oven. Bake for about 3 hours at 300°F, or until a fork easily penetrates the meat. Looks good already! Remove the ribs from the foil and finish on Grill for about 20 mins or until done. For the mop sauce: While the ribs are on the grill, open foil carefully and pour the rib juices into a saucepan. Boil the juices until sauce becomes thick and syrupy. Remove from heat and stir in paprika and vinegar. Drizzle mop sauce on ribs or serve along side...and that's it! SOOOOOO Good! So sweet and crispy on the outside and tender juicy meat on the inside. Prepare the ribs by peeling off the tough membrane on the bony side of the ribs. Use a butter knife or paper towel to pull the membrane off. Rinse and pat dry with paper towels. Mix together brown sugar, chili powder, paprika, salt, garlic powder, and cinnamon. 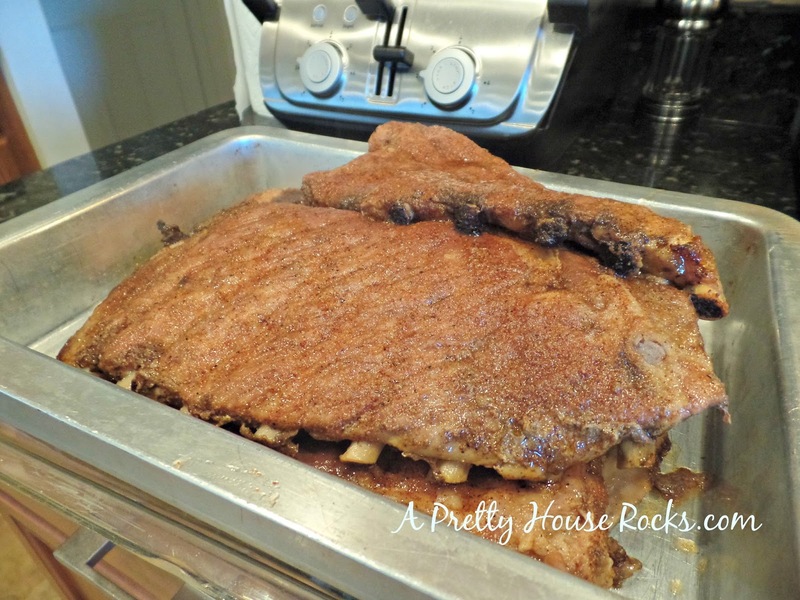 Place ribs on baking or cooling rack placed on a baking sheet, then place them in the oven. Bake for 3 hours at 300°F, or until a fork easily penetrates the meat. Open foil carefully and pour the rib juices into a saucepan. Boil the juices until sauce becomes thick and syrupy. Remove from heat and stir in paprika and vinegar. Remove the ribs from the foil and finish on Grill for about 20 mins or until done. Remove the ribs from the foil and finish on Grill for about 20 mins or until done. Optional: If your bbq will be completely indoors...don't worry you can always finish ribs in broiler.